If you are looking for a weight loss clinic in Cary, NC, you have come to the right place. Let’s face it – most diets and diet plans don’t work. That is because treating overweight and obesity is complicated. Obesity is referred to as a “multifactorial disorder”. This means that there is no single cause for overweight or obesity. It is a combination of genetic, metabolic, psychosocial, environmental and behavioral factors. Therefore, no single technique for weight loss will be successful in all overweight individuals. “One size fits all” programs simply don’t work! At our weight loss center in Cary, we have designed a unique, “state of the art” medical weight loss program that targets Obesity AND its related conditions. Patient care is individualized and we successfully target the underlying causes of your obesity. Patients receive individualized treatment, counseling and follow-up. Simply put we can help you lose weight, and get healthy. 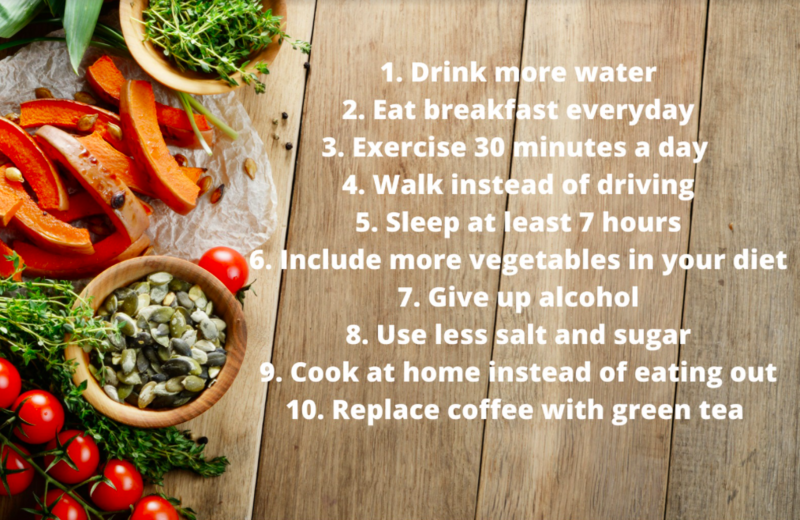 According to the American Heart Association, “The benefits of maintaining a healthy weight go far beyond improved energy and smaller clothing sizes. By losing weight or maintaining a healthy weight, you are also likely to enjoy a higher quality-of-life.1” Gaining weight doesn’t happen overnight. It is usually the result of weeks of even months of neglect – a significantly long period of eating a poor diet and doing little to no exercise. A decadent birthday dinner or a weeklong vacation won’t make you fat – but a consistent, unhealthy lifestyle can (and will!). What are some of the main factors that contribute to weight gain? When studying the hunger patterns of overweight people, the researchers found that in most cases, people reach for food not because they’re hungry, but because they are bored or looking for comfort. Follow this one simple rule – eat when you’re hungry! – and you will immediately feel the difference. Did you know that not sleeping enough (less than seven hours of sleep per night) can reduce or undo the benefits of dieting? In one study, dieters adopted different sleep schedules to test the effects on their weight loss. Interestingly, when their bodies received enough rest, half of the weight they lost was from fat; if they cut back on sleep, the amount of fat lost was cut in half! And that was when all of the dieters were on the exact same diet! Moreover, when they slept less, they felt significantly hungrier. This is because a lack of adequate sleep makes you crave food, decreases your satiation after meals and deprives you of energy to exercise. As you see, the connection between receiving enough sleep and weight gain is hard to ignore. Here at Total HealthcareMD, we believe that when it comes to sleep, both the quantity and quality matter! Yes, we say that over and over again, but only because it’s true. Colorful soft drinks are full of sugar and nasty chemicals. Even all-natural fruit juices are loaded with sugar. Your body doesn’t need that. One can of soda can contain as much as 14 teaspoons of sugar, and one 8 oz. glass of orange juice has 102 calories. Soda isn’t the only product that contains too much sugar. Most packaged, processed foods are guilty of adding much too much sugar into our everyday diet. Do you think that because you don’t have sweets every day your sugar intake is low? Have a look at the label of that pasta sauce in your fridge, or ketchup, or even breakfast cereals. They’re packed with sugar, even if the label doesn’t make it obvious (there are over 50 names for sugar that food industry uses in an effort to convince the customers that the product is ‘healthy’). Limit the amount of processed foods in your diet and you will see an immediate difference in the way you feel and look. Our Cary weight loss center is pleased to serve patients who are searching for a weight loss center in Raleigh or Apex. We are conveniently located just 12 miles from Raleigh and 3 miles from Apex. When it comes to losing weight, it’s important to find an effective program which meets your specific needs. We find that even though our weight loss clinic is located in Cary, we often serve patients from Raleigh, Apex, and other nearby towns. They understand that in order to lose those few extra pounds, it’s worth driving those few extra miles! What weight loss programs are offered at our weight loss clinic in Cary? If you have further questions, our helpful staff are here for you, so feel free to Call Us Now. Our program is personalized for each patient depending on your needs, lifestyle, pre-existing conditions and your goals. Each patient receives a thorough physical examination, detailed medical history, biochemistry analysis and bio-impedance analysis. Our credentialed medical professionals design a program that fits your lifestyle and works for you. Where it is appropriate, we may use prescription weight loss medications to help you reach your goals. Our objective is a lifestyle change that allows our patients to get healthy, lose weight and most importantly – maintain optimum health for life. Do I have to buy pre-packaged food? Yes, we accept most major insurance plans. It is your responsibility to understand what your plan’s co-pay and annual deductible is, and whether you have met your deductible for the current year. We understand that dealing with insurance companies can be confusing, and our staff is only a phone call (919)-(436-3777) away to assist you with any questions that you may have. Why should I make an appointment with Total HealthcareMD? At Total HealthcareMD, we evaluate a patient as a whole and effectively provide guidance on the root cause of health issues. Whether your goals are to lose weight, manage or reverse a chronic condition, or to improve your overall health and wellness, get a head start by setting up your COMPLIMENTARY CONSULTATION with one of our health, wellness, and weight loss practitioners. Why should I schedule a free, no obligation appointment with Total HealthcareMD? The most refined, comprehensive approach to weight loss, health and wellness with focus on patient education. How can I schedule a free, no obligation appointment? To make your no obligation appointment, please call us at (919)-(436-3777) or schedule an appointment online. Still have questions? Our helpful staff are waiting for your call – Call Us Now.